CAROLINA, PUERTO RICO- Everything is ready, only hours for the local anticipated clash between the strong puncher Jose ‘Wonder Boy’ Lopez (20-2-1, 14KOs) and the warrior Jonathan Oquendo (28-5, 18KOs) for the vacant NABO Jr. Lightweight championship of the World Boxing Organization at the Pedro Roselló Puerto Rico Convention Center on Saturday, October 6, 2018. 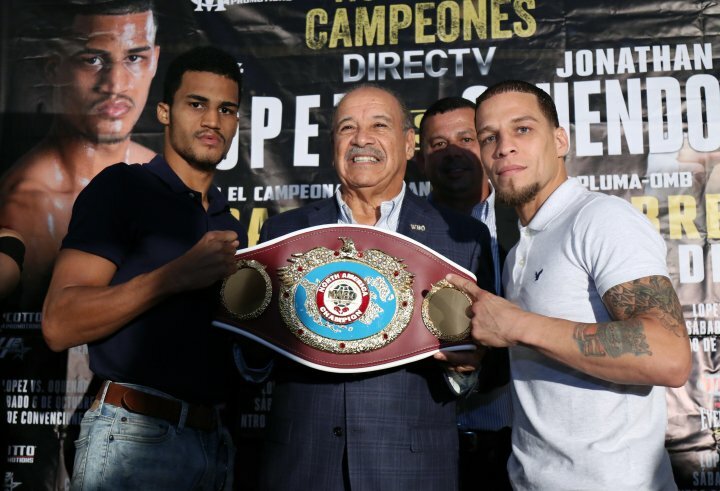 The LÓPEZ VS. OQUENDO match will be 10 rounds at 130 pounds and will be seen exclusive by DIRECTV in channel OnDIRECTV number 161. “I am very happy with the great training camp we did, thankful with the support of the company and I am ready to face Oquendo, we know him and we will let the words speak about the ring, I hope this Saturday October 6th in the Puerto Rico Convention Center “.